Ever since Olympus Has Fallen released, we have anticipated the release of White House Down, simply because at first glance, they look similar! Hopefully for our fans, they would be different, and White House Down could well be as entertaining, or even more, than Olympus Has Fallen. 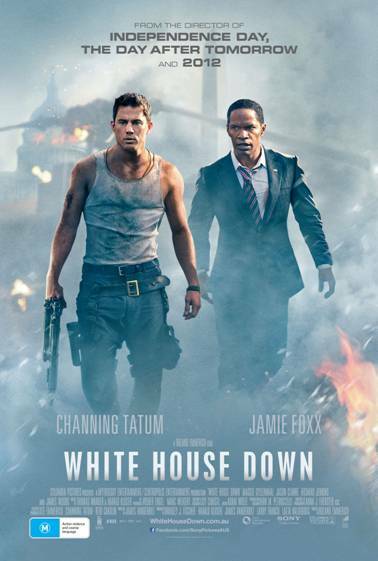 In Columbia Pictures’ White House Down, Capitol Policeman John Cale (Channing Tatum) has just been denied his dream job with the Secret Service of protecting President James Sawyer (Jamie Foxx). Not wanting to let down his little girl with the news, he takes her on a tour of the White House, when the complex is overtaken by a heavily armed paramilitary group. White House Down releases in Australian Cinemas on September 5.